STEP ONE: Cut your wood to the size you prefer. 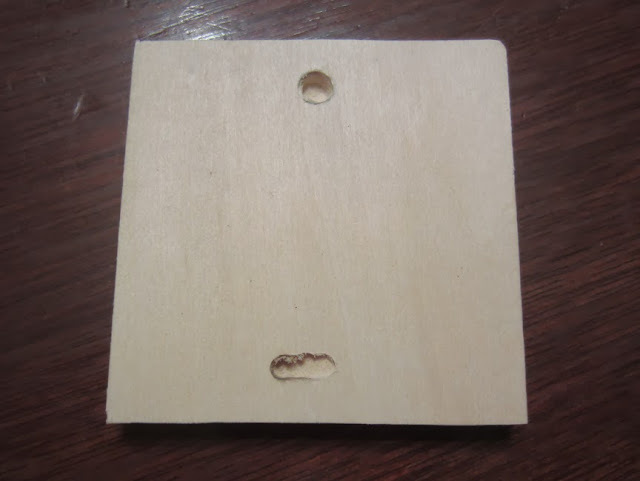 I cut my piece to measure 3" x 3" and sanded the edges with sandpaper. 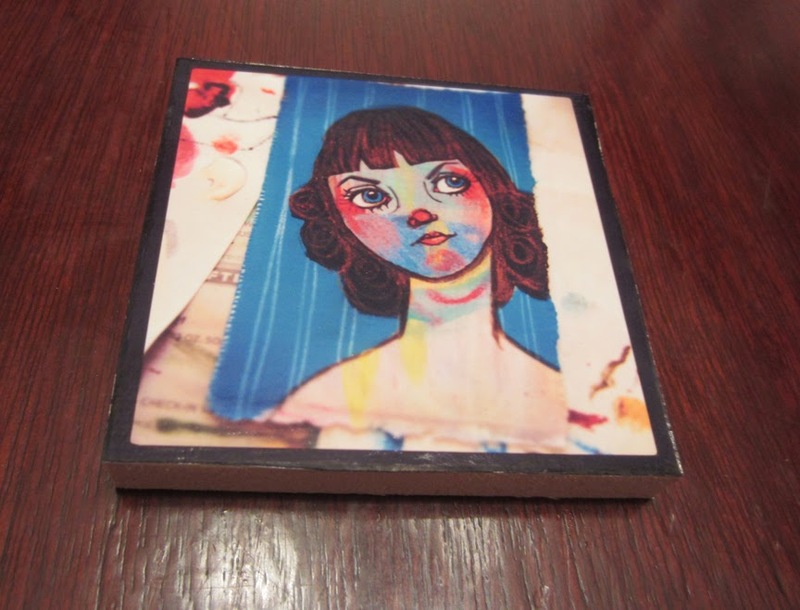 STEP THREE: Print your artwork out, making sure to make it the same size that you cut your wood - in my case, 3" x 3". Cut it out carefully with a pair of scissors. 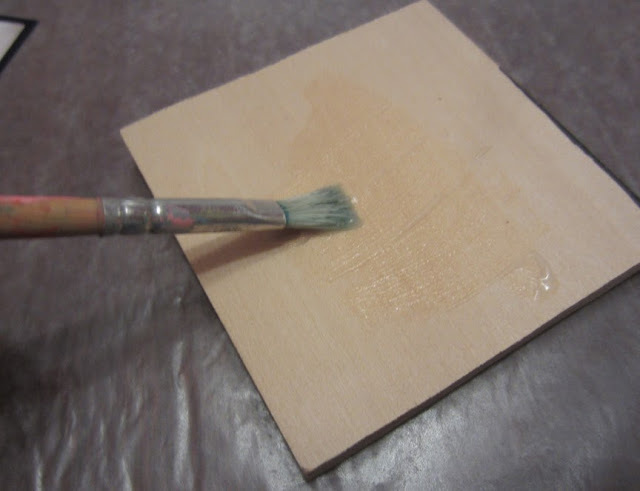 STEP FOUR: Apply a light coating of Nori paste to the top side of the wood. 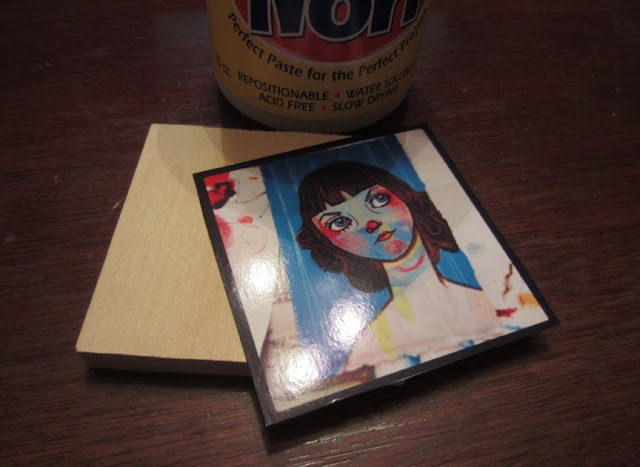 Don't make your layer of glue too thick, or it will seep out over the sides. Thanks for reading, and I hope you enjoy making these little art reproductions! In the interest of full disclosure, I am a current member of the Niji Design Team and was given the Yasutomo & Co. Nori Paste by Niji/Yasutomo. As always, I promise to only recommend and use products that I love!